Click here for more information and to register for the 7th Annual Great Midwest Book Fest! 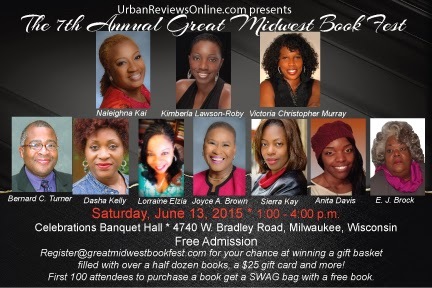 I can't wait to meet the great AA authors you have lined up for Midwest Book Fest on June 13, 2015. I've only missed 2 so far and I hope I won't miss anymore. Thank you for bringing authors and readers together.